Many people have heard the terms wills, living wills, living trusts, and irrevocable trusts, but what do they all mean and which one do you really need and/or want? 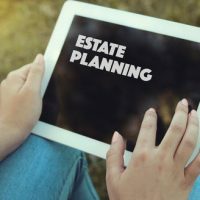 These can be a bit confusing, and each has advantages and disadvantages, which is why it’s important to consult a qualified Washington DC probate and estate planning attorney. First, it’s important to understand that a living will doesn’t relate to assets and property. It is designed to help you make important healthcare decisions in advance, often called a healthcare directive. A living will can dictate whether you want to be resuscitated, be placed on life support and for what duration, or donate your organs upon your death. Living wills often go hand in hand with a healthcare power of attorney. This designates who you would like to make medical decisions for you if you are no longer able to do so for yourself. A standard will is what most people are familiar with, which allows you to name intended beneficiaries for property and other assets. With a will, you can also designate guardians or conservators for young children or incapacitated adults. You can leave specific instructions on how your debts should be handled as well as how you would like your funeral and burial arrangements managed. Wills typically have an executor appointed who handles the asset distribution and ensuring all debts and taxes are paid. Wills are subject to probate after one’s passing, which means a probate court judge approves the will and your choice for an executor, or personal representative. If the will is uncontested, the process can proceed quickly, but if beneficiaries are fighting or challenging the validity of the will, the entire probate process can be lengthy and expensive. A living trust allows you to designate trustees, or beneficiaries, who can access your assets faster since it is not subject to probate court. These can be modified at any time after they are created. Another benefit of a trust is that it will remain private upon your passing. With a will, it becomes part of a public record so anyone requesting public records can see your assets upon your death. Another trust option is the irrevocable trust. As its name implies, this is a trust that cannot be modified once created. The benefit of this type of trust is the ability to better protect your assets before your death and avoid some estate taxes after passing. An example is the sudden and unexpected need for nursing home care. Assets held in an irrevocable trust are not counted towards eligibility for Medicaid assistance. The experienced probate and estate planning attorneys at Tobin O’Connor & Ewing in Washington DC are here to help you navigate the nuances of wills and trusts. We have experience in the drafting of wills, trusts, and advanced health directives, as well as handling probate court matters. Please contact us at 202-362-5900 for a consultation and let us help you achieve peace of mind that your estate is fully protected and your wishes are expressly documented.